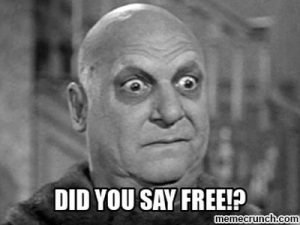 I’ll keep this post really brief, but you could blow me down with a feather when I found out that it is possible to get completely free and official practice exam voucher codes from Kryterion! The only proviso is that you need to already have passed at least one exam. 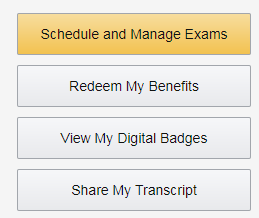 It seems that one key benefit to being AWS certified is that they will provide you with a free exam voucher code for the next exam you do, which could be used towards either Associate or Professional level exams! How great is that? For me personally, the practice exams are a brilliant (if not the best) way to prepare for the AWS exams. I always use them in the last couple of days as a way to check my progress, build confidence before the exams, and weed out / fill in any gaps in my knowledge. So… how do I get these free official AWS practice exam voucher codes then? It’s very simple! To get the free official practice exam voucher code, follow the steps below! Log into your certification account. Select one of the lines from an existing exam and click Claim Benefit. It will then provide you with an exam voucher code for free! Then just go to Schedule and Manage Your Exams. Click Register for an Exam. Add your preferred test practice to your basket. Enter your code into the Coupon / Voucher Code field. You’re done! Now just click Launch! There we go, easy peasy! Even better, this is repeatable for as many exams as you have done, so each time you pass an exam, you will get another voucher! Thanks very much AWS, what a great perk!